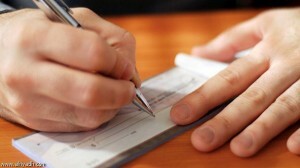 Your deposit forms an integral part to the successful completion of a commercial real estate transaction. I’ve compiled a list of common questions that I’ve come across from both buyers and tenants. 1. Do I need to put a deposit down when I make my offer? Submitting your offer with a substantial deposit is a great way to show you’re a confident buyer or tenant. The gesture shows you are the “real deal” and can imply your motivation to close. Accepted practice within the Saskatoon commercial real estate market is that the deposit is not due until two days after acceptance of an offer or counter by all parties. Do not write the offer unless you have the deposit ready. It’s a terrible first step, especially with a landlord you’re entering into a relationship with, if you can’t produce the funds as stated in the offer. 2. How much is my deposit? It is common practice in commercial real estate sales to provide a percentage of the total sale price as deposit; 5 – 10 per cent is a typical industry standard range. If you’re in a position to provide higher than the standard, it will express your confidence in the deal. We often see a portion of the deposit due upon acceptance and the balance upon removal of conditions. In a lease scenario, the deposit is typically equivalent to your first and last months’ gross rent, which includes occupancy costs and GST. The first month payable is paid from this deposit and the rest held as security by the landlord. 3. How do I pay the deposit? You pay your deposit to your agent by cheque. We are bound by a federal government body known as FINTRAC to report large cash transactions. Credit cards are not an option. There is a real estate development firm in British Columbia accepting bitcoins for deposits but this is certainly not common for most real estate brokerage companies. 4. Where does the deposit go? Deposits are typically held by the brokerage of your agent and are placed into a trust account to be held during the transaction. Once a sale is unconditional, the deposit(s) are applied to the final sale price during closing by trust conditions between the corresponding lawyers. 5. Will I lose the deposit if the deal does not close? Most deposits are set up to be refundable during the conditional period. Once conditions are removed, however, typically the deposit would be forfeited by the buyer or tenant. Each deal is unique so it’s important to understand what your deposit clause states before fully committing yourself. As is important with all clauses and conditions within a real estate offer, make sure your deposit amount is stated clearly in writing. I’ve had clients from larger firms who are unable to process deposit cheques any faster than a week. If that is the case, the listing agent must be notified immediately. I think I’ve covered off most of the frequent questions regarding deposit. Did I miss any?